To state that Jane Berry had a challenging year from October 6, 2015 to October 7, 2016 is an understatement. In addition to being a PhD student, professional chorister, running a beach volleyball club, and mother to 5 year-old Piper, she spent the majority of her time taking care of her mother, Marilyn Berry. Marilyn underwent surgery for brain tumour removal on October 6, 2015. Following that surgery, Jane witnessed her mom cycle through gains and losses while maintaining a connection to her mother through good humour and music. 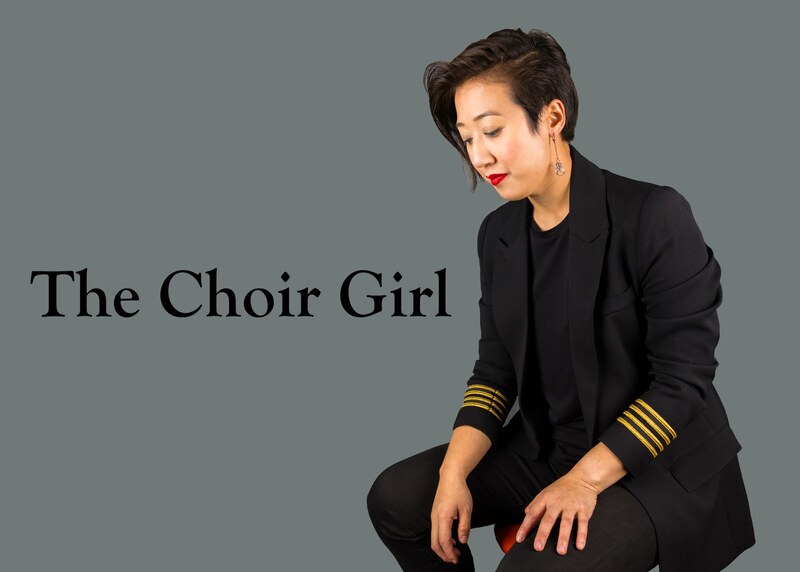 Personally, as a fellow chorister witnessing Jane manage her multiple roles from the sidelines, it was staggering to see her navigate this complex process when reading her Facebook updates or chatting with her at choir break. I also remember catching glimpses of her composing her first major choral work, the Mass for Recovery: Phoenix Rising in dedication to Marilyn Berry, who passed away on October 7, 2016. Initially, Jane’s Mass for Recovery began as a counterpoint exercise. She was a teaching assistant for a second year counterpoint class and found herself frequently sketching melodies in down time during lectures. She did not expect Michael to program the entire Mass. “In all honesty, Michael expressing interest in wanting to see it, and suggesting that we might perform it, was this really strange vote of confidence in me that I didn’t expect. I don’t know if I would have gone farther than the Kyrie,” she reveals. “What happened when I started fleshing out the Kyrie, I started to incorporate my experience watching my mom. There is a voiceless motive in the Kyrie that was specifically related to my mom's recovery. Michael’s encouragement made me finish the Kyrie. That is when I had the motivation and inspiration to write the whole Mass and really link it to her recovery. Everything sprang from the motivation of wanting to finish the Kyrie. My mom was already in the hospital by the time I finished the Kyrie, and when she woke up from surgery, that was when I started being at the hospital every single day. Basically, six weeks after my mom finished having surgery, I was done the Mass. From there, I did the majority of edits after she died.” A warm tone of gratitude is evident when Jane speaks about Michael’s role. She lauds his patience and his collaborative input in the editorial process of the score. Jane chose to use the Mass framework and Latin text in a modern way: “I think having a contemporary setting of that text was important. If I had been too traditional with it, it wouldn’t have felt like a representation of my mom. She was both religious and contemporary as well. I tried to reflect that balance she had in the setting of it.” Each of the Mass movements is also paired with a subtitle that documents a stage in her mother’s recovery: Kyrie - The Speechless Awakening, Gloria - Breakthroughs & Breakdowns, Credo - Turbulence, Memories & 1000 Needles, Sanctus - The Battle of Glenrose*, Benedictus - Angels & Prayers, Agnus Dei - Going Home. “The entire piece was based on her rediscovery of things that she lost during surgery: language, memory, lucidity to some extent. This battle of regaining and losing, having these amazing breakthroughs and ridiculous regressions where she would go from fluent speech one day to nothing the next,” Jane states. “One of the things I have an incredible amount of respect for my mom was that she was so liberal and progressive. Working as a feminist, working for women’s rights, running a shelter for battered women and children, and being a social worker. It was really interesting to see her involvement with religion. It’s something that hugely influenced my life. I remember times when we went to this church that was huge, and borderline cultish,” she says with a laugh, “but they had a really good music program. She would lean forward during the sermon, loud enough so many around us could hear, “ok, and this is where the pastor interpreted things a little wrong, this historically happens very often, the wife doesn’t actually have to serve…” Whenever it came to issues of gender in the church she was very vocal about her rationale about how she compromised with this liberal side of her and how she consolidated with her interpretation of religion,” she says. The subtitles of the movements became more prophetic than even Jane could have predicted. She titled the “Battle of Glenrose” before her mother was even admitted as an inpatient. Prior to that transfer, Marilyn spent just over three months at the University of Alberta Hospital recovering from her neurosurgery. It was her mother’s move into the Glenrose that signaled the start of many complications, especially her struggle with depression. The Agnus Dei “Going Home” relayed the feeling of the unknown, as it was originally written while Marilyn was still in the hospital Jane was unsure of what the end would really look like, whether going home would represent a return to their apartment or her mothers passing. It is no surprise that Jane wrote the piece with Pro Coro’s sound in her mind. She is blunt in stating that the work wouldn’t be as good as it is if she had to limit herself in term of functional composition restraints such as range. She wrote parts with specific chorister voices in her mind. Her experience as a singer is also apparent in the score since soloistic lines weave throughout all voice parts. She wrote melodies she would want to sing. Jane notes that Pro Coro’s upcoming concert with the premiere of Mass for Recovery: Phoenix Rising will feel like a memorial in some ways. Many of the individuals she would have wanted to be at her mother’s memorial in Edmonton will either be singing in the concert or are planning to attend. Her sister is flying in from Halifax the day before and her family here in Edmonton is waiting for the end of winter before travelling back to Halifax for a ceremony in their home province. Speaking as a chorister and friend who has witnessed Jane’s life from the sidelines, it is a true pleasure to be able to premiere her work. I feel honoured to be part of the choral community that can help a fellow chorister remember her mother, channeling our collective voices through a musical medium. In April 2016, I was part of a quartet of singers that sang at her mother’s bedside. I still recall the look in her mother’s eyes. There was spark of excitement but tears pooling at the edges. I remember how lucid she looked, and how Jane laughed when she realized the strength of her mother’s grip on her arm as she was trying to pull away. The Mass for Recovery reminds me that when a loss for words renders us speechless, we will always have the role of music to communicate what cannot be spoken. Pro Coro Canada will premiere Mass for Recovery: Phoenix Rising Sunday January 29, 2017 at their Missae IV Concert. All Saints Cathedral at 2:30 PM. *The Glenrose Rehabilitation Hospital is a facility providing inpatient and outpatient services in Edmonton, AB. Jane grew up singing and composing from an early age before eventually going on to begin her music studies at Acadia University where she completed a BMUS in Composition. 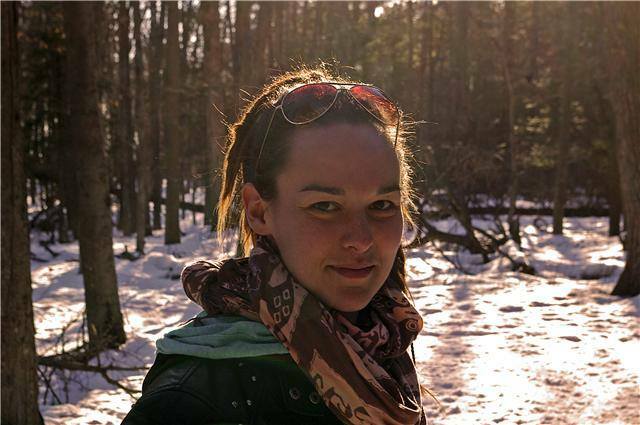 She then continued to complete a MA at the University of Ottawa and is now in the final year of her PhD at the University of Alberta. Jane Berry is thrilled to be performing as a member of Pro Coro Canada for her fifth season now and is also a member of several of Pro Coro’s specialized smaller ensembles. Jane enjoys working as a vocal coach for the Etown Minors acapella group, teaching at the University, running a local beach volleyball training facility, and most importantly, spending time with her beautiful daughter, Piper. Her academic research interests include music cognition, autism and sensory sensitivity issues, abstract and graphic score analysis, and popular music studies. After a long hiatus from composition Jane recently found herself compelled to pick up writing again following some difficult life events and has since found a renewed joy in composition.